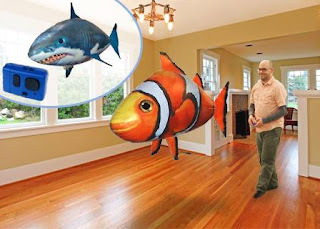 As low as $20 for Remote-Controlled Flying Fish or Shark! I got one of these for my daughter for Christmas and she still has a blast with it! Too bad I paid almost $50 for it! Lucky for you, you can get a remote-controlled flying fish or shark for as low as $20 at Groupalicious right now! They're on sale for $25, but new shoppers get a $5 credit when they sign up, making it only $20. NOTE: Shipping is an additional $8.99.